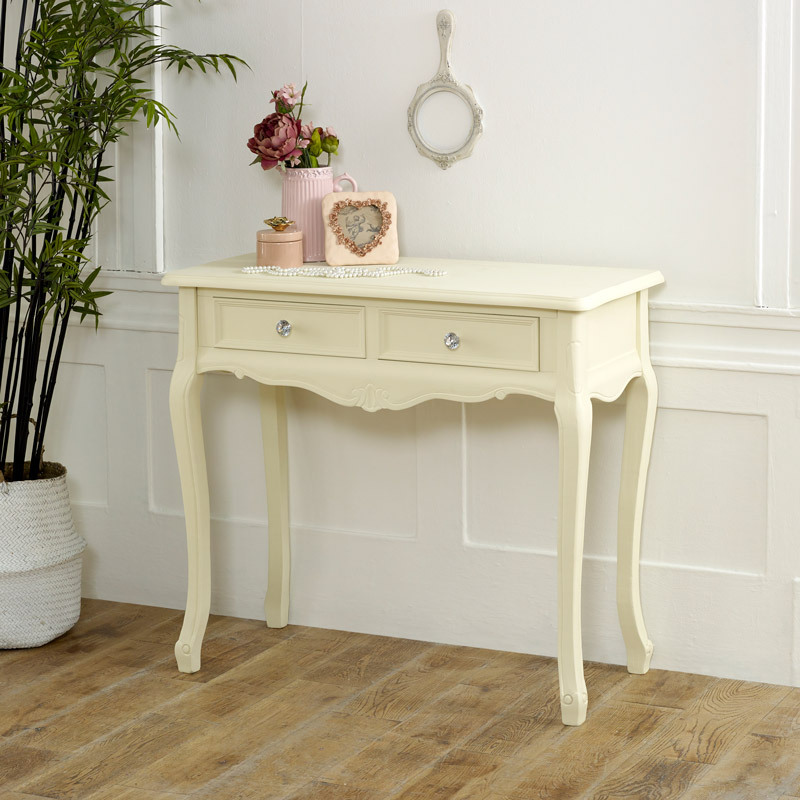 This console table is a stylish addition to our Elise Cream Range. 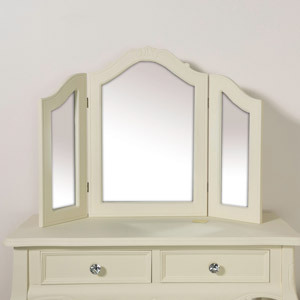 Stylishly designed in a cream painted finish with ornate carved features and crystal drawer knobs to add a look of glamour and luxury. This table is practical and stylish and can easily be used as a dressing table or console table. 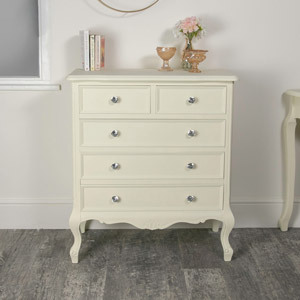 We have a great choice of mathcing furniture in the Elise Cream Range that will help to add that classic French feel to the bedroom, living room or hallway. Offering 2 drawer storage, this table can easily be used in the bedroom as a dressing table or the living room or hallway as a chic console table. 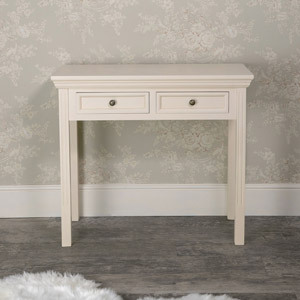 This console table is a stylish addition to our Elise Cream Range. 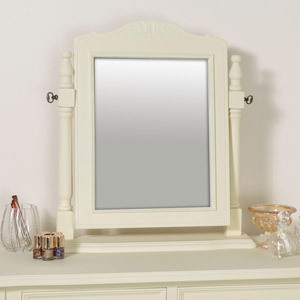 Stylishly designed in a cream painted finish with ornate carved features and crystal drawer knobs to add a look of glamour and luxury. 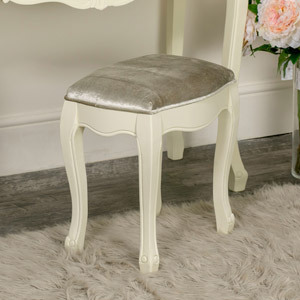 This table is practical and stylish and can easily be used as a dressing table or console table. 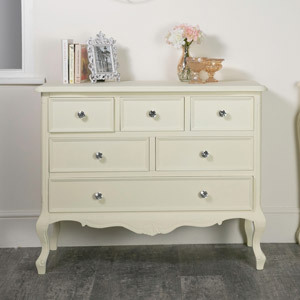 We have a great choice of mathcing furniture in the Elise Cream Range that will help to add that classic French feel to the bedroom, living room or hallway. 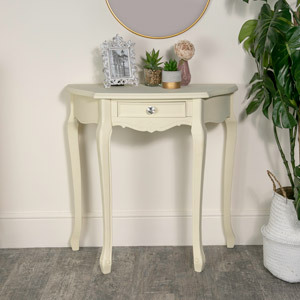 Offering 2 drawer storage, this table can easily be used in the bedroom as a dressing table or the living room or hallway as a chic console table. Made from wood and painted in a cream finish. There is minimal assembly required with just legs to attach which is quick and easy to do (fixings included). 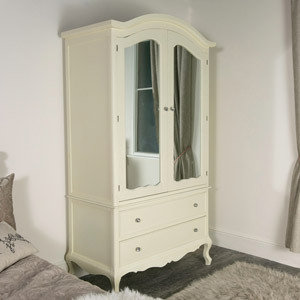 We have plenty more furniture available in the Elise Cream Range.